This sticker features an American Walt Disney icon, the princess Sleeping Beauty, holding a machine gun in front of a pink star against a black textured background. The contrast of pink and black along with symbols of the princess and machine gun gives the sticker a feminine yet punk aesthetic quality. This sticker takes a passive female protagonist, one whose life is revived by the kiss of a prince in the original story, and gives her autonomy and power. 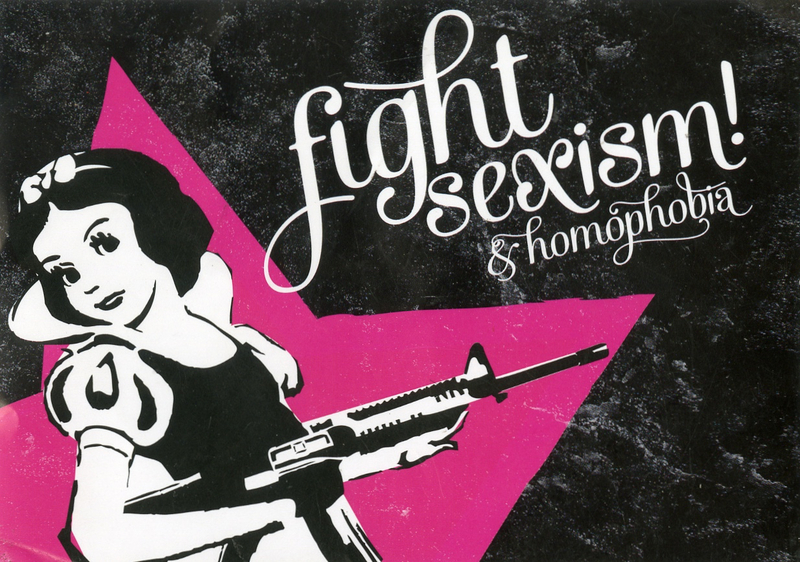 Furthermore, the sticker speaks to the intersectionality of feminist activism and LGBTQ rights.